Church organs are unique instruments. Not only are they centuries old – or, if their origin instruments are considered, millennia old – but they also have endured through western culture ever since their introduction. Organs were and still are central to many churches’ worship services and found their way into secular culture and music, as well. Organs are also unique in their sheer size, as well as how they became an artistic installation that was and still is revered as part of a church’s iconic architecture. 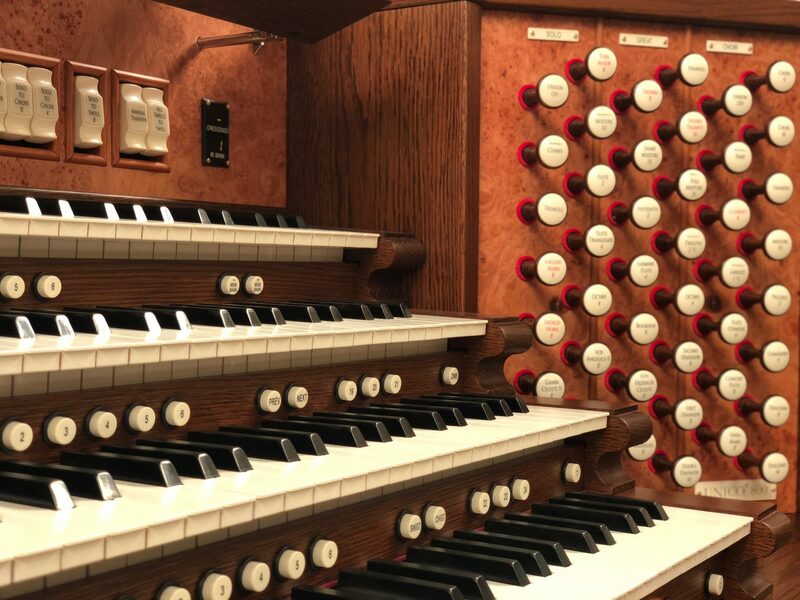 We at Viscount, truly respect the organ as an instrument; for that reason, we create only the finest church organs from the highest quality materials and technology on the market. Each organ is itself a stand-alone work of excellent and respectful craftsmanship. Viscount makes several lines of organs and here are what you need to know about them. 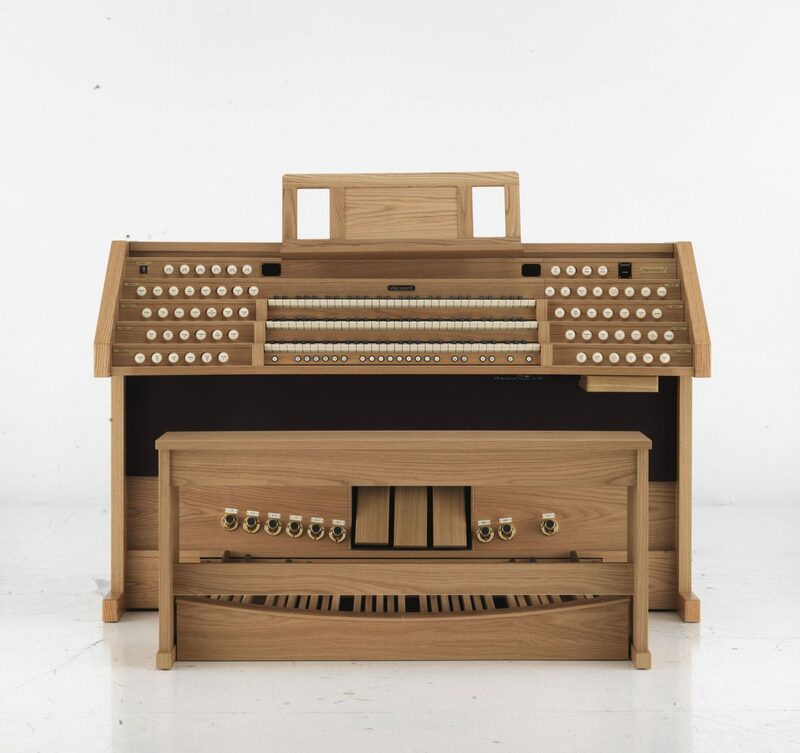 Unico organs are modern organs that are made with tradition in mind. 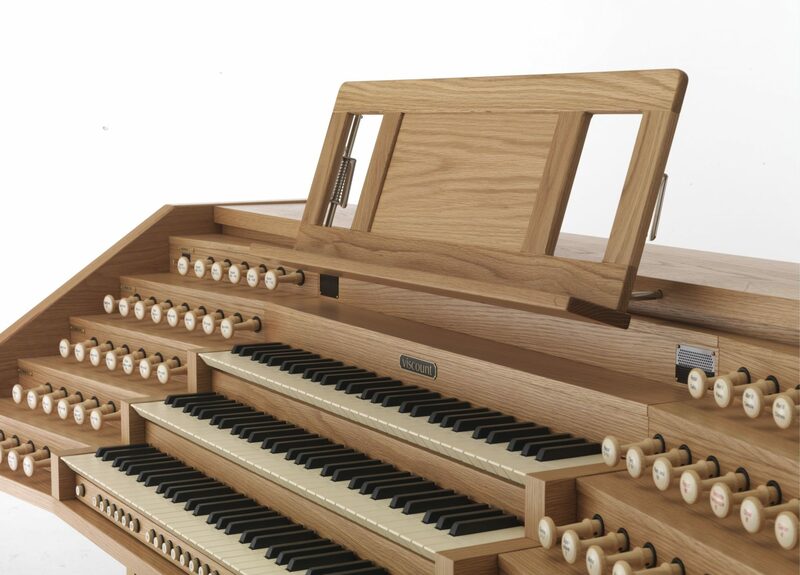 Each Unico organ is crafted from the finest and richest wood that will age to give each organ a beautiful finish, unique to the room in which it is placed. Unico church organs truly represent Viscount’s fine Italian craftsmanship that they put into every organ. Each organ is made with the highest quality thumb pistons that are crafted from solid wood and strengthened with steel. Also, the drawknobs found on Viscount Unico church organs are wooden, unlike many other organs on the market whose knobs are made of plastic. The stop rails that you will find on every Unico are made to endure hours of continuous play time and years of use while aging beautifully. 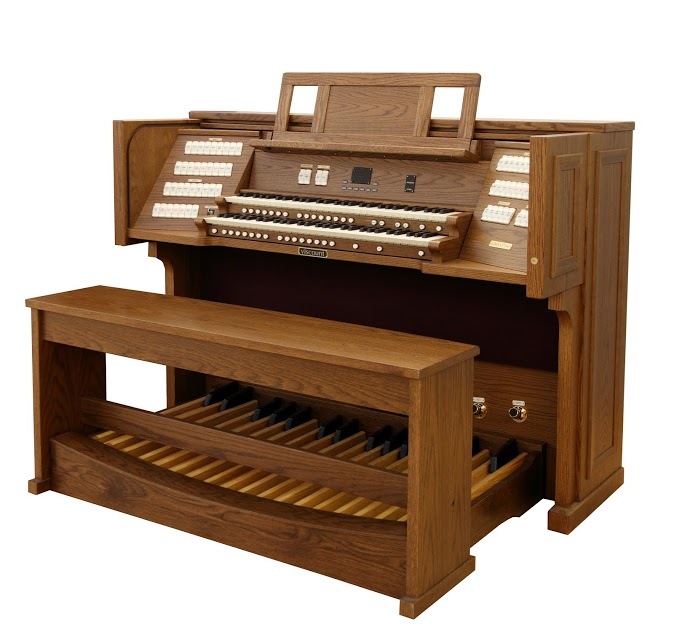 Lastly, when we designed our Unico church organ, we thought about your comfort. Every aspect of the Unico is constructed with ergonomic design in mind. 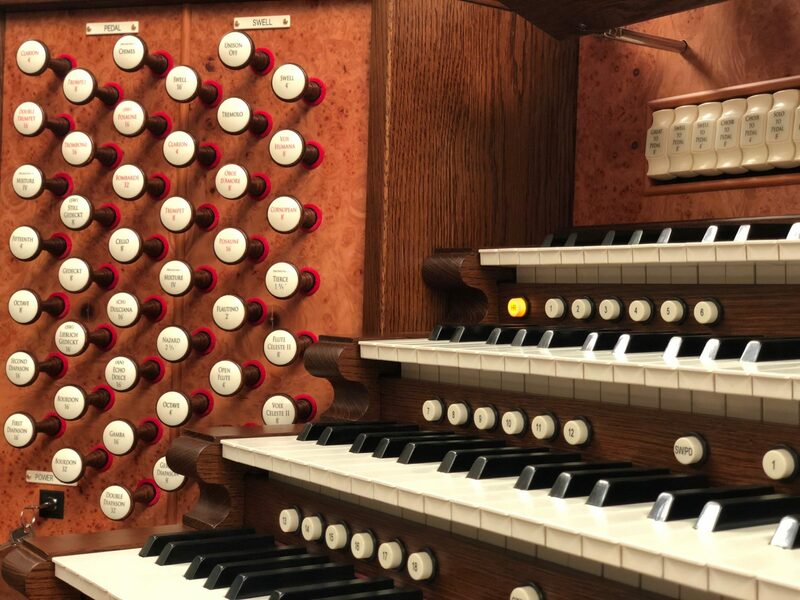 To learn more about Viscount’s Unico church organ visit our website! 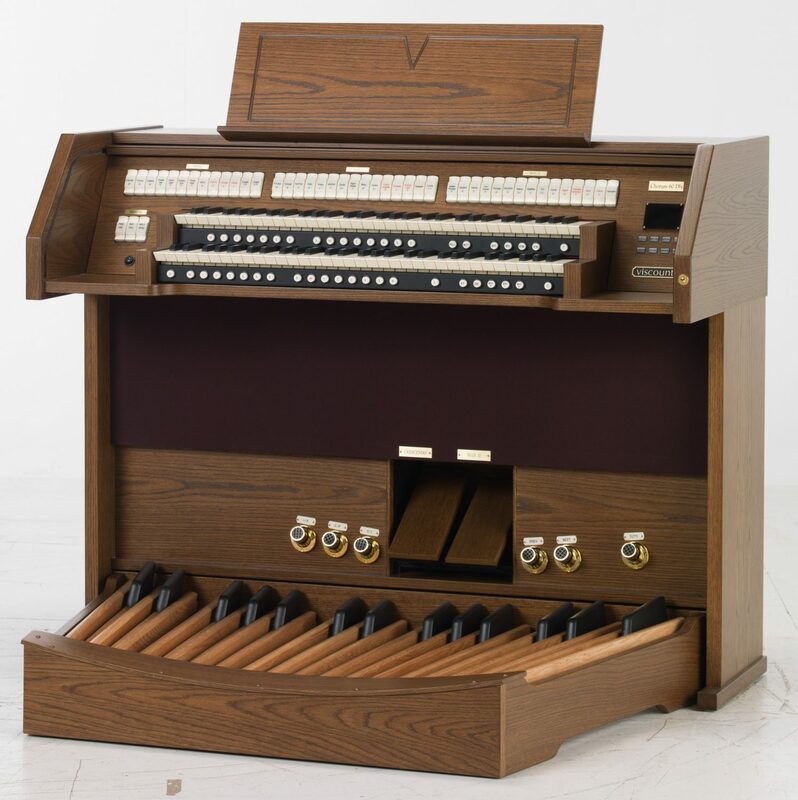 Viscount Sonus Church organs take the best of tradition and modern technology and combines then into an instrument that exhibits the best of the past and present. 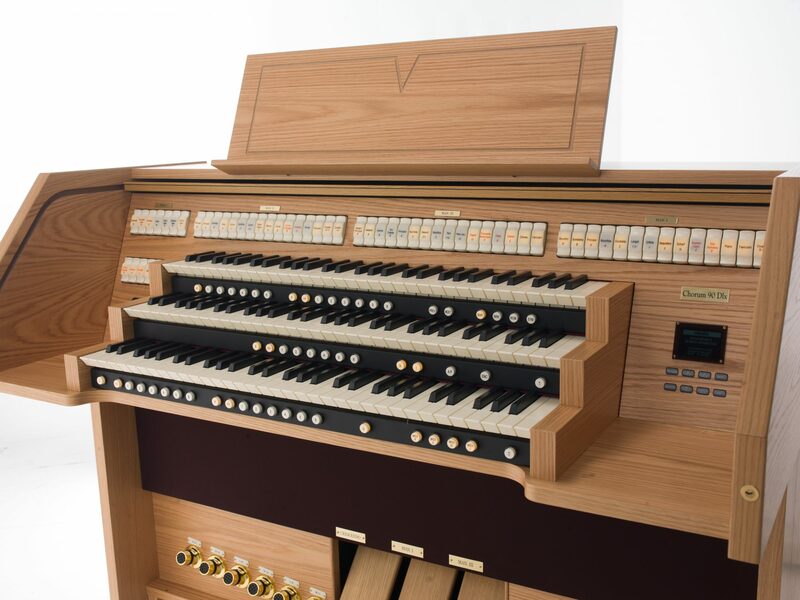 Each Sonus organ is crafted with the same care and respect as it’s Unico counterpart, but what sets the Sonus apart is the use of Viscount’s Physis® technology. 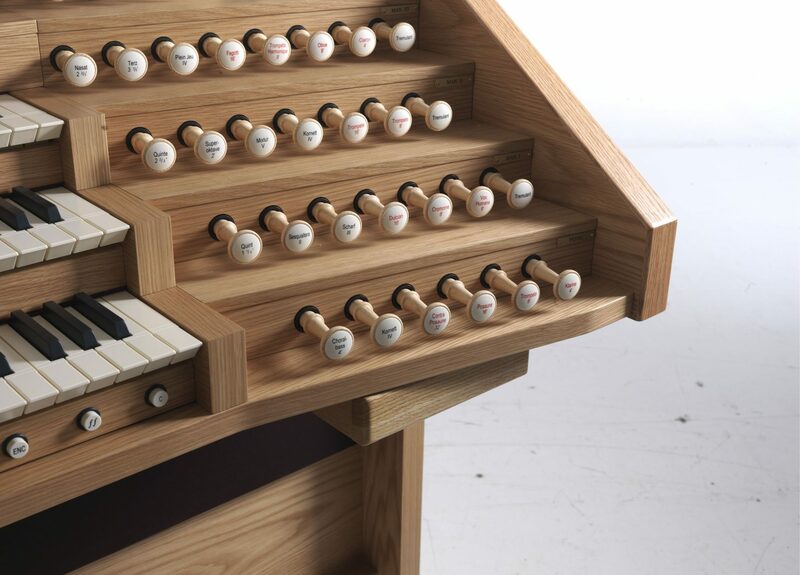 Physis is unlike any other digital organ. 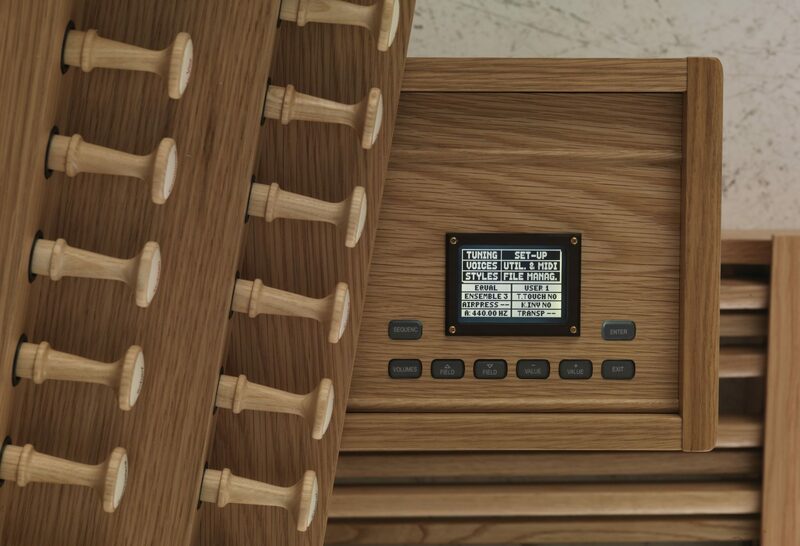 Many digital organs try to replicate the overall sound of a traditional pipe organ; Viscount’s Physis technology instead replicates each pipe and it’s sound, and the effects of the pipes on each other. 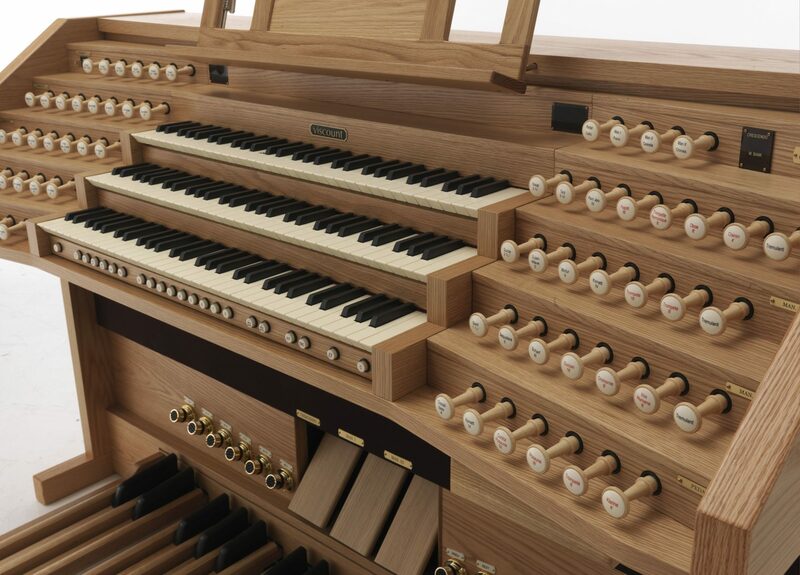 To put it concisely, Physis takes into account the actual design of traditional church organs, giving you a fuller, and more realistic sound. 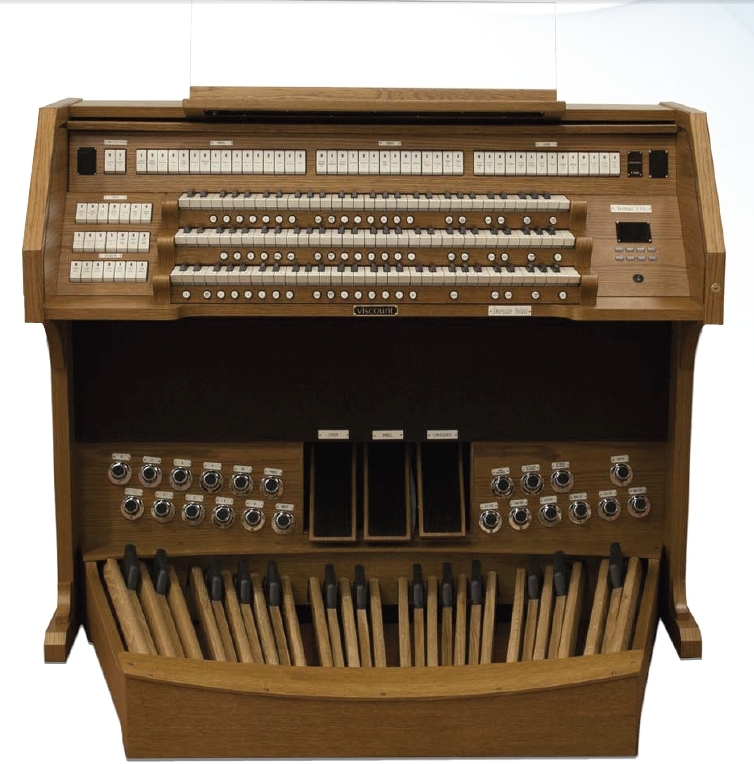 In addition to Physis technology, when you buy a Sonus church organ you also get RAR™ technology. RAR stands for Real Audio Rendering. RAR gives the organist the capabilities to set the organ’s sound to replicate rooms in which organs are normally placed: If you want your church organ to sound like it’s in a cathedral, you can have that, while, if later you want your organ to sound like a small chapel organ, you can have that too. 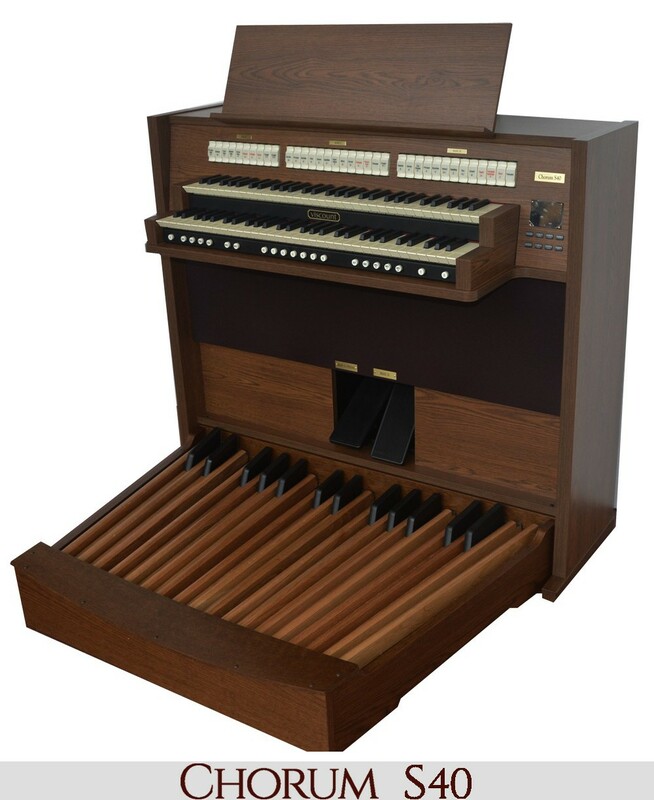 To learn more about the Sonus church organ, go here! Viscount’s Chorum church organs are the most affordable of our organs. “Affordability” when it comes to a Viscount church organ never means a sacrifice of quality. Each Chorum has ARTEM sampled sound technology, simple, adjustable controls, and fully updatable capabilities. 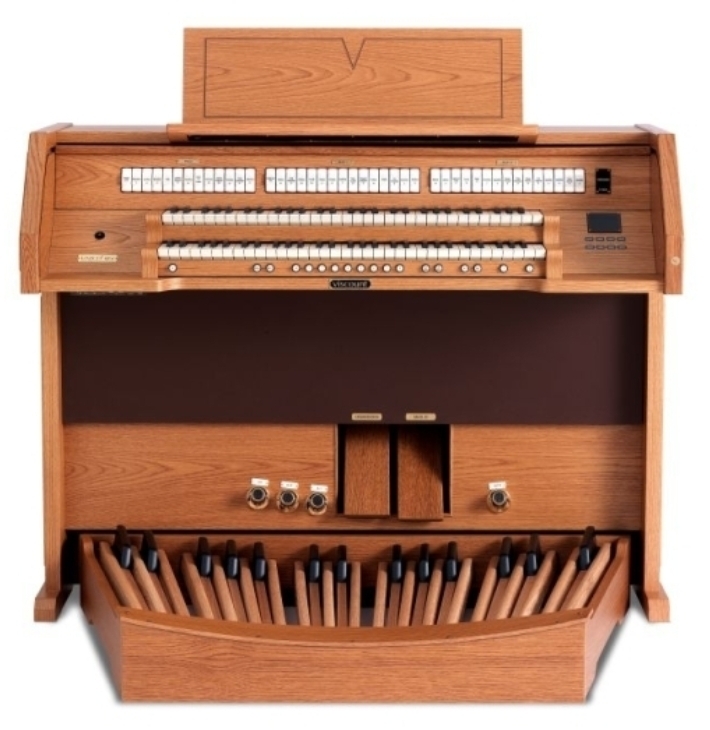 This church organ comes with many orchestral voices including piano and harpsichord, as well as a sequencer that allows for complex organ playing and the adjustments that may be needed. A Chorum organ meets you where your budget allows and still gives you quality that only a Viscount church organ can provide. 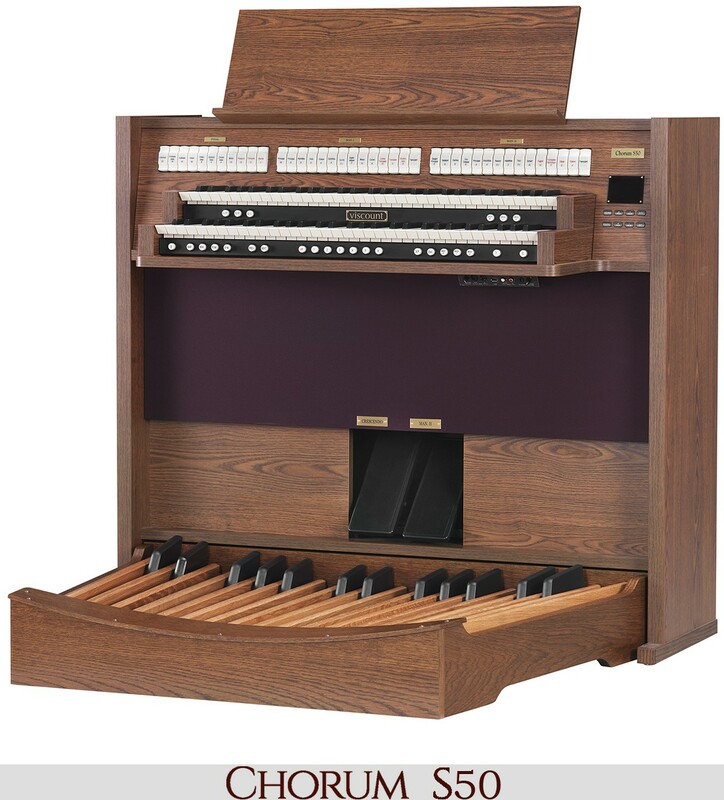 When compared with our competitors, you can rest assured that when you buy a Chorum church organ, you are getting a quality instrument that not only looks good, but sounds incredible. 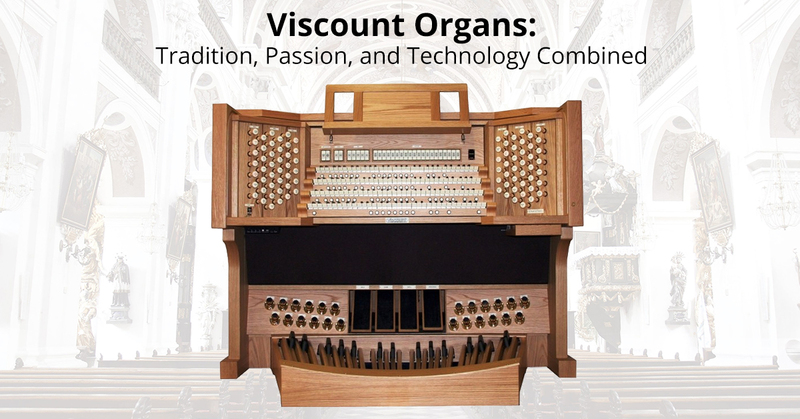 If you are not ready to commit to buying a complete new church organ, Viscount’s hybrid organ options are great for getting more out of your current organ. 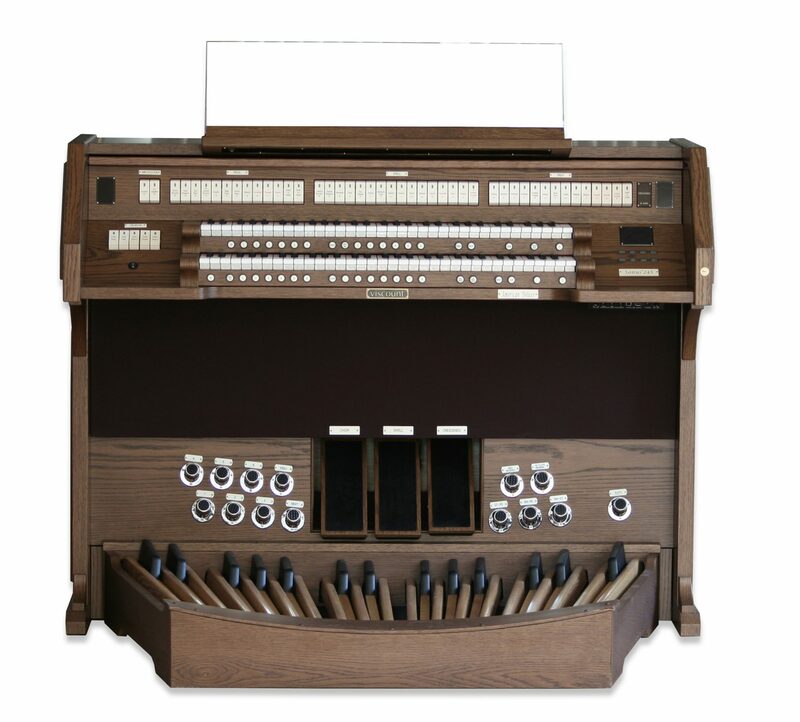 Buying a digital console for your current organ is a great and less expensive way to update your current church organ by adding extra voices to your current organ. 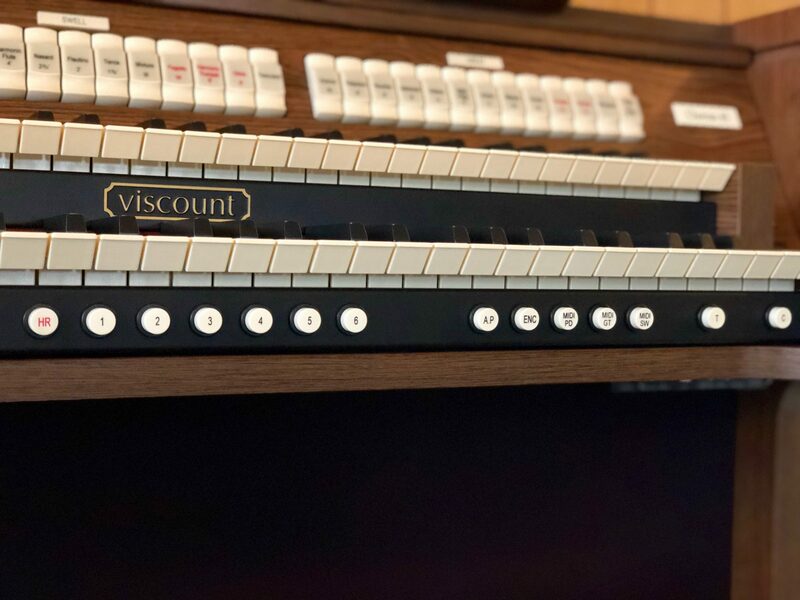 As with all of our organs, when you add a Viscount digital console to your church organ, you get the best technology that will ultimately enhance the overall experience of your organist and your listeners. Our digital consoles seamlessly combine with your current organ to give you the best sound possible. Multiple sensors detect any changes in the sound of your organ due to environmental factors and immediately adjusts your organ so you hear the highest quality sound possible. The tradition and passion of Viscount is making church organs that not only sound, but also look like a piece of art. Each organ we make is a testament to fine Italian craftsmanship and our passion for creating beautiful church organs. Our goal is to provide our customers with church organs that take the best from the past and the present technology and its capabilities. Have questions about our organs or technology, contact us! 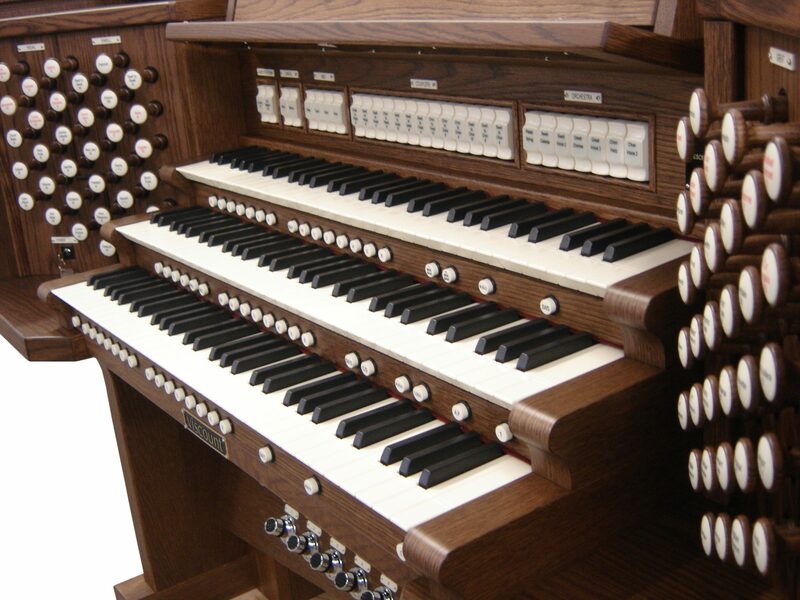 If you are interested in buying a Viscount church organ, find a dealer here! 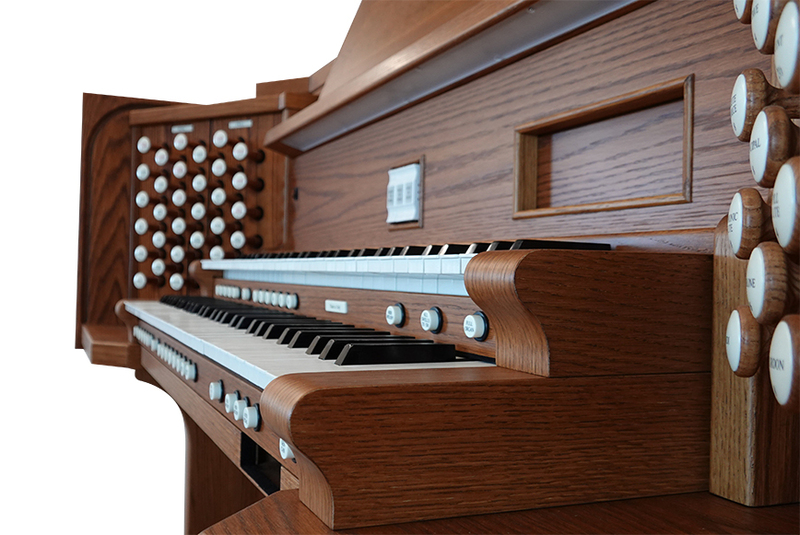 Learn more about Physis, our exceptional church organ technology, on our website! Stay tuned for more news and posts about Viscount and other organ topics!